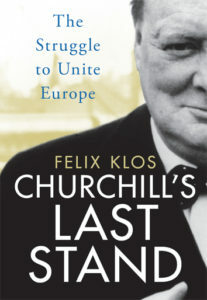 Felix Klos, Churchill’s Last Stand: The Struggle to Unite Europe. London: I.B. Tauris, 2017, 288 pp., $35, Amazon $14.17, Kindle $18.70. Dr. Felix Klos is a personable and intelligent American-Dutch historian and writer who has worked hard and undertaken much research. In trying to persuade us that Churchill favoured Britain joining a federal Europe, however, he comes up against several immovable obstacles. 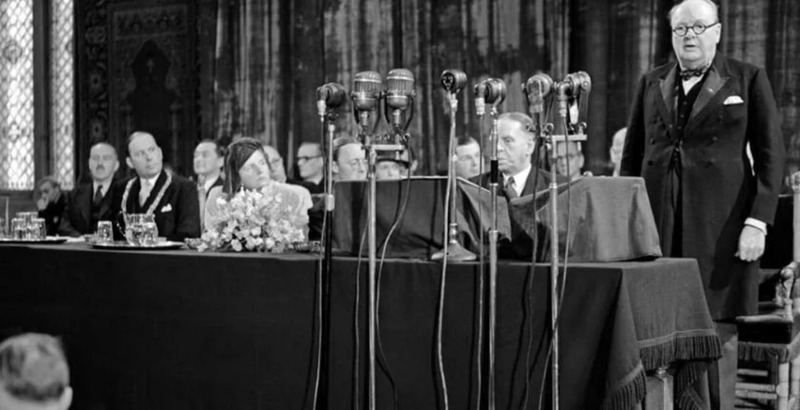 The most serious of these is that in the four postwar years that Churchill was prime minister, between 1951 and 1955, he personally, regularly and decisively blocked all movement towards Britain joining any of the European federal institutions that existed. However engaging Klos may be, and however well written his book, he is utterly wrong in his central thesis. Fortunately, Dr. Klos is too conscientious a historian not to give enough evidence in this book to prove the precise opposite. He takes the reader through Churchill’s long engagement with the European movement. He shows how, since 1930, Churchill had supported binding France and Germany together so that they could not fight one another, while also thwarting Soviet communism. Churchill was himself clearly not a “European” at all. If he had had his way, Britain would have been “associated” with a Europe that would extend from Lisbon to Brest-Litovsk…. but would never have formed part of it herself. Why the European federalists should have apparently thought at one time that he was thinking of British membership of a federal Europe I have never understood. He always made it quite clear that Britain, if he had anything to do with it, would stand aloof. It was true that Churchill once came up with a plan for the pound sterling to join a common currency. But that was with the U.S. dollar, which he suggested in a 1933 conversation with James Roosevelt, Franklin Roosevelt’s son. Andrew Roberts is the author of Masters and Commanders: How Four Titans Won the War in the West and Storm of War: A New History of the Second World War. His next work, Walking with Destiny, a new biography of Sir Winston Churchill, may be ordered now for delivery in November. This review first appeared in The Spectator of 17 February 2018 and is republished by kind permission.